Coffee, volcanoes, civil war, orangutans, epic surfing and the epicenter of the 2004 tsunami make Sumatra a well-known island in Indonesia. However, it is not very popular with tourists (yet) probably because of the lack of infrastructure and fear of something going down in Banda Aceh where most of the violence occurred several years ago. Sumatra is a great place to visit but perhaps not during Ramadan. 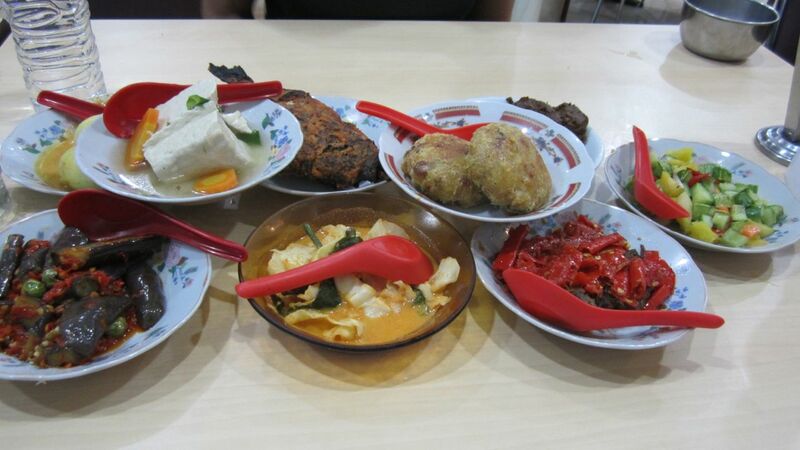 Although food was generally available to non-Muslims (and those Muslims who decided to cheat), it was tough to find good food. In spite of this hiccup, we still had a lot of fun especially because one of our good friends from California came out to visit. The top two destinations in Sumatra, in our humble opinion, are Lake Toba and Pulau Weh. As a side note, the biggest trap in Sumatra, we found out, was the Mentawai islands, one of the world's surfing meccas. The locals have taken advantage of the surfing fame and charge insane prices for food, lodging and transportation. 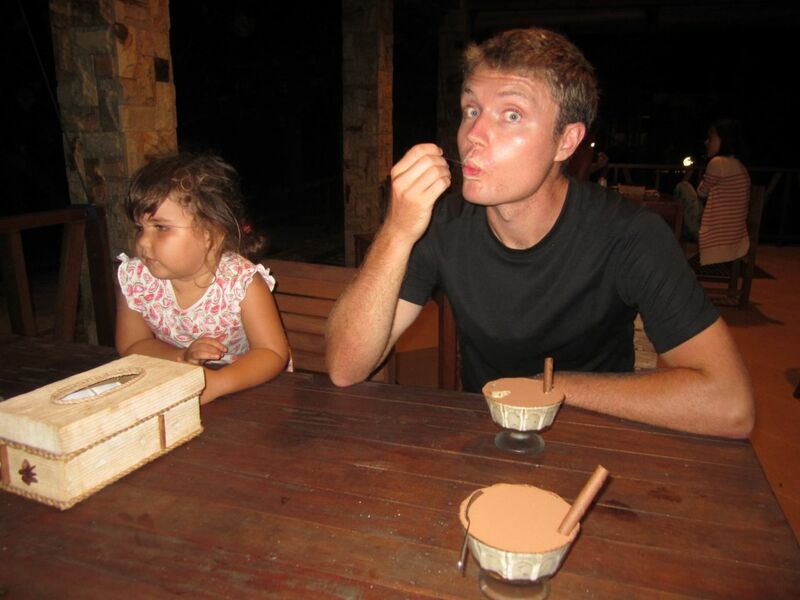 A simple 10 minute round trip on a local wooden boat to a surf break will cost you $200 US dollars and most people buy instant noodles in Padang, the launch point, because local food is outrageously expensive. No thanks!! Lake Toba, on the other hand, is an amazing destination just a couple of hours outside the terribly crowded and polluted city of Medan. 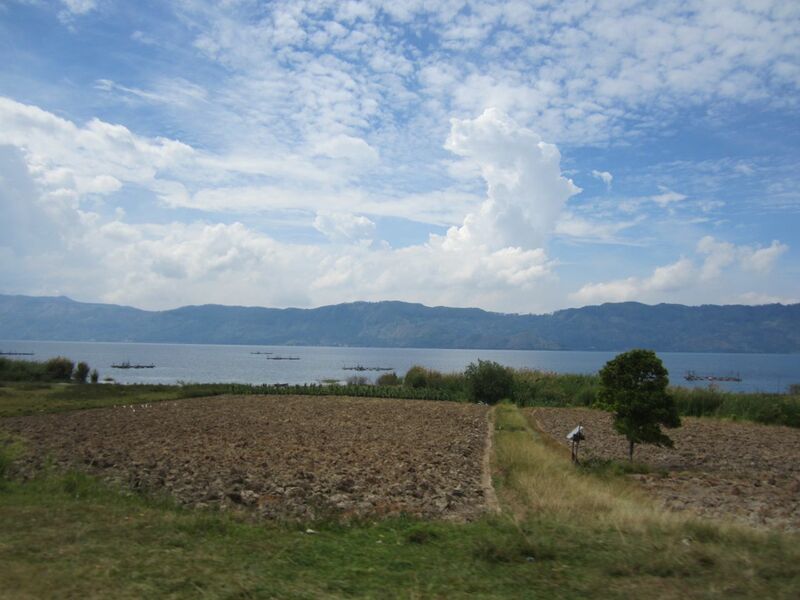 Lake Toba is actually a lake inside the crater of a giant volcano and it is, in fact, the world's largest crater lake. An island called Samosir sits in the middle of this crater lake and is larger than all of Singapore. Tuk Tuk, a small village on Samosir, is home to the Batak people, one of the few Christian communities in the world's largest Muslim country. 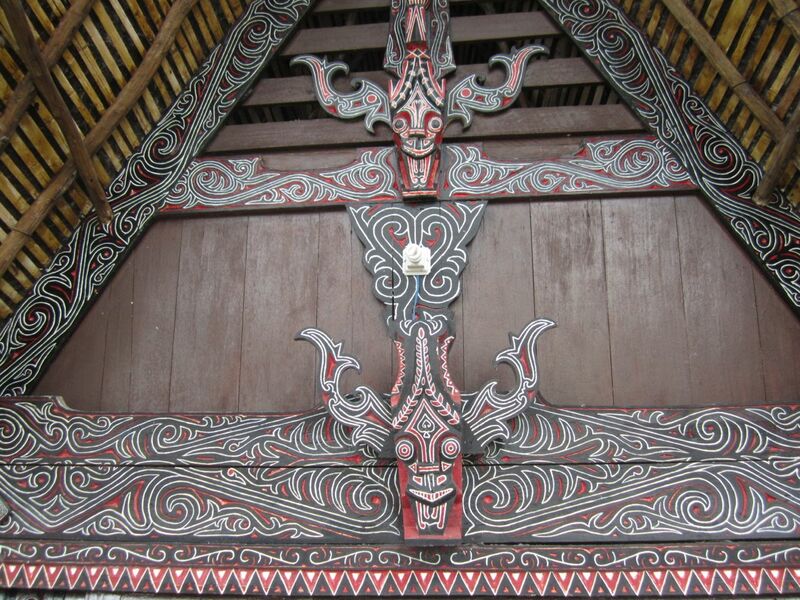 Batak culture is very unique and they have their own architectural style, consisting of beautiful wood carvings on large roofs dominated by red, black and white colors. 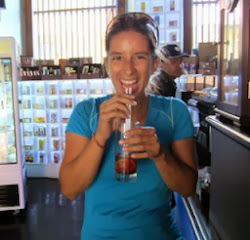 The island has many lake front guesthouses, great cafes and lots of delicious little hole-in-the wall restaurants. Each night, you can enjoy fresh, locally caught fish which is barbecued to perfection, along with an ice cold beer plus fresh fruit salad for no more than $6 bucks total. The fish at Lake Toba was definitely some of the best we had in all the countries we visited (up there with Masqouf in Dubai and the fresh fish in Zanzibar) due to its freshness and the slow roast preparation over coals. 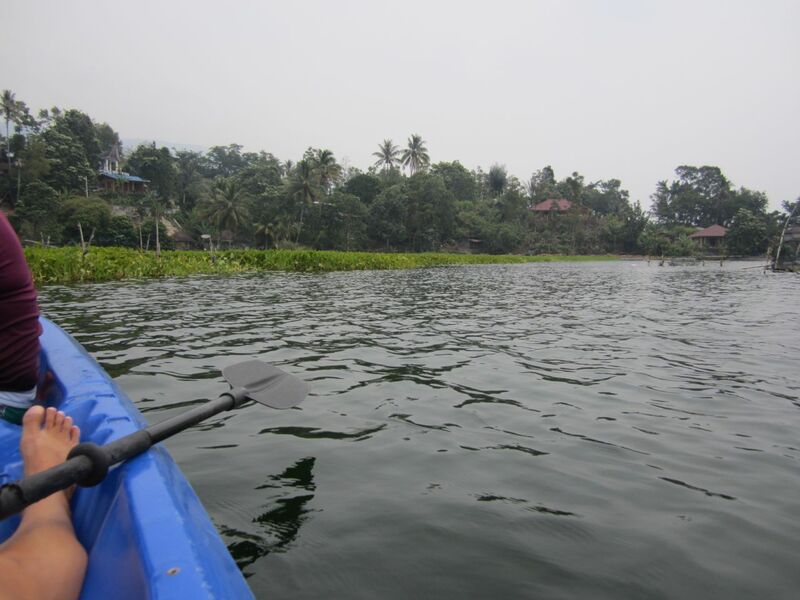 The lake is surprisingly clean and really fun for swimming or kayaking. Our day activities consisted of lounging by the beaches on the lake, taking a cooking class (Batak cuisine was one of the best we had in Indonesia), renting bikes to explore Tuk Tuk, hiking up to see the small lake on the island on the lake in the volcano on the island or grabbing scooters to see the incredible views from the top of the island. You can easily spend two weeks on this awesome lake eating like royalty, relaxing and exploring. 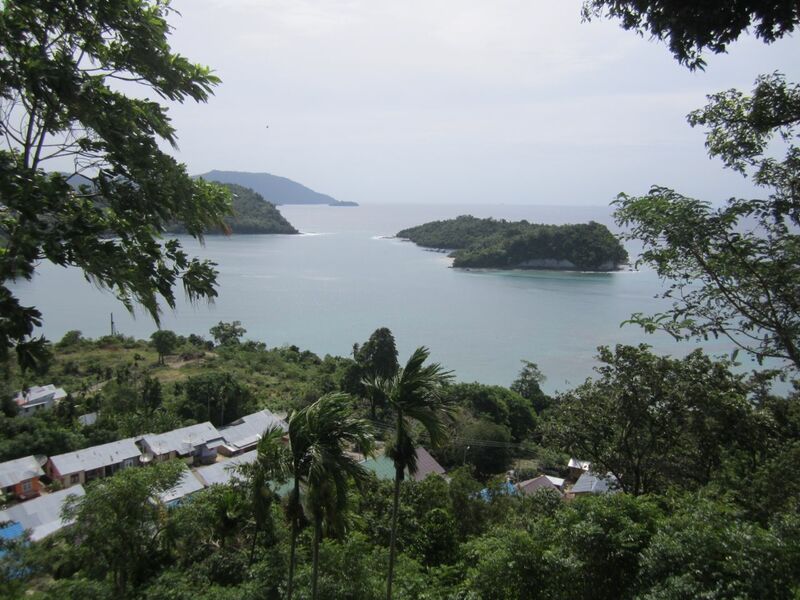 Pulau ("island" in Indonesian) Weh is an awesome little island off the north coast of Banda Aceh. Banda Aceh itself was a very nice city and we wouldn't have minded spending a little more time there. Anyway, Pulau Weh sits very close to the epicenter of the 2004 tsunami and is a gem of a spot. 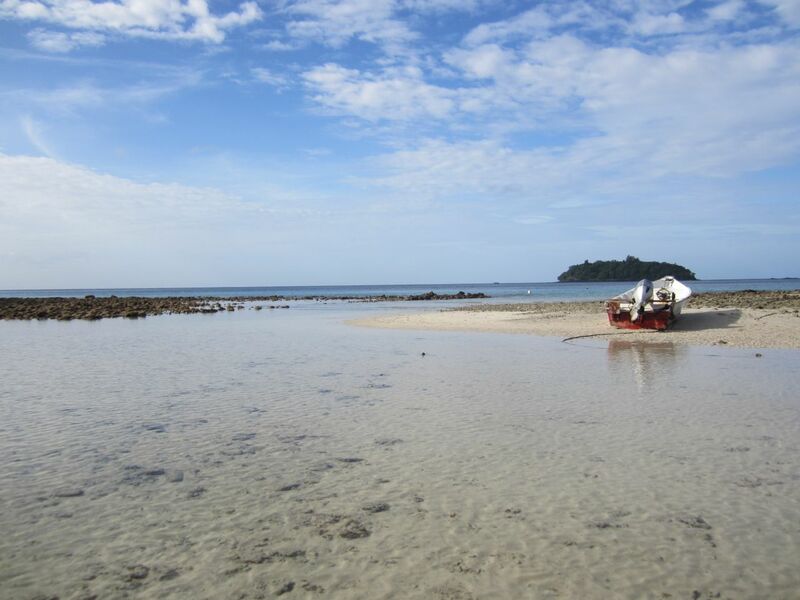 The humidity is remarkably low and temperatures are not too high, making the weather in Pulau Weh extremely pleasant. Pulau Weh is a big island, completely covered by dense jungle where tons of monkeys and snakes thrive. 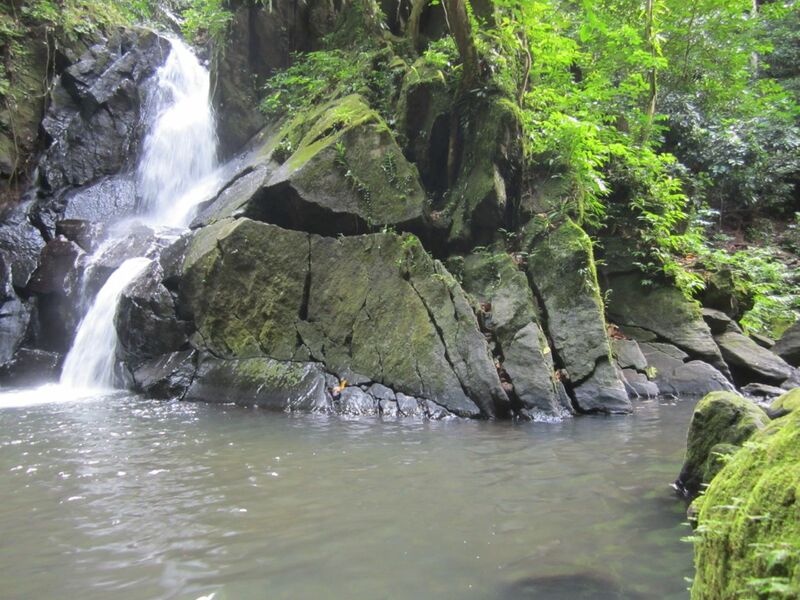 There is a beautiful waterfall tucked away in the thick of the jungle but accessible by foot and there's even a local 'volcano' where sulfur hot springs abound. A tour of the whole island can be done one a scooter in just a few hours. 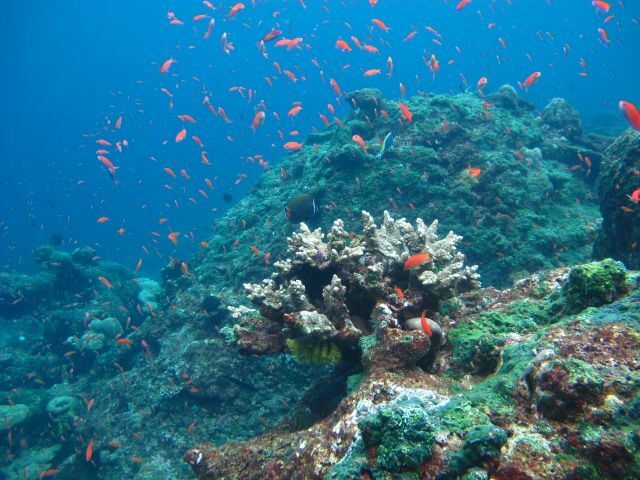 The fame, however, behind Pulau Weh is its awesome diving and snorkeling. The northwest part of the island has the best beaches and diving spots so we parked it there for almost three weeks. Although the local reef suffered very intense damage and bleaching from a freak rise in water temperature back in 2010, the abundance of marine life is amazing and definitely makes up for the lack of color. We saw some of the largest schools of parrot fish we had ever seen, there was a honeycomb eel the size of Eliot (he's 6'3"! ), sea turtles, reef sharks, psychedelic crazy looking octopi and hundreds upon hundreds of colorful little reef fish all over the place. Unfortunately accomodation was mediocre at best and the food, unfortunately, is just average. However, we were lucky enough to find lodging at the only Italian restaurant on the whole island for our last week. Drea got to practice her Italian with the owners and their ridiculously cute multi-lingual child. We ate heaps of lasagna, pasta puttanesca and drooled over some of the best tiramisu ever. Pulau Weh sucked us in a little bit and we suddenly realized we were running out of time. Although we would have loved to go white water rafting on some world class rapids that apparently rival the Karnali in Nepal and hiking on some of the volcanoes north of Lake Toba, we couldn't make anything work because of the craziness of the week after Ramadan. We can't wait to get back to Sumatra during a different time of the year so we can avoid Ramadan, find some cheaper surfing spots and get our paddling on! Our backyard for a week @ Pulau Weh! christania’s “cykeludlejning” bikes are rolling across the city. The system, less than a year old, is funded by christania’s municipal government. It is currently only in one of christania’s 22 administrative districts. Although a 2nd generation system, there are 12 “Houses” in this district, each with around 40 bikes. The yearly subscription cost is the equivalent of $2 US, and allows the use of a bike for up to four hours at a time. In less than a year, there have been 6,000 subscriptions sold. There are larger 3rd generation systems in the world, which do not have a subscription to bike ratio as big as that.